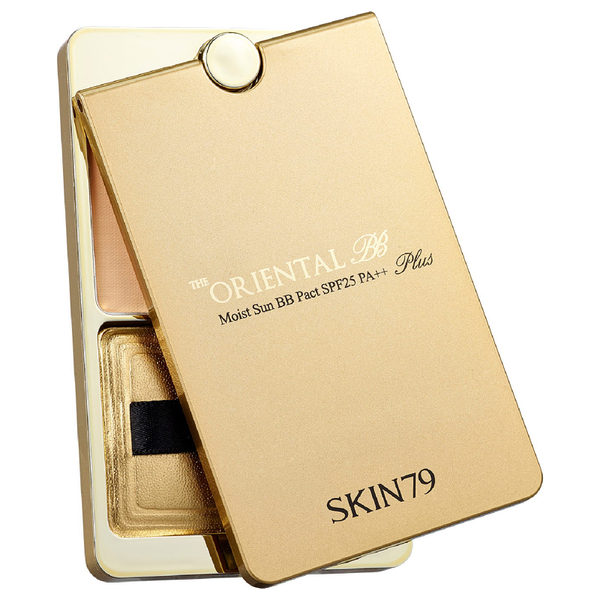 Create a flawless base with the The Oriental Moist Sun BB Pact SPF25 PA++ from Korean skincare brand Skin79; a finely milled, satin soft face powder that minimises shine, blurs imperfections and evens skin tone. Delivering a veil-like coverage with a natural looking finish, the lightweight BB powder effectively conceals blemishes and redness without feeling cakey or dry. The addition of SPF 25 ensures optimum protection from harmful UV rays that can lead to fine lines and discolouration. Dust across skin for a smooth, refined and mattified complexion.